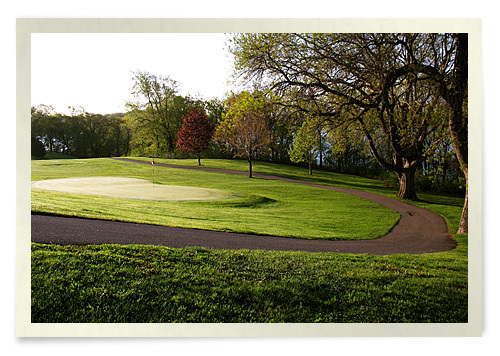 This green slopes from right to left, and its long, slender design makes it extremely tough to stay on the green. The best miss on this hole is to the left, giving you an uphill chip shot onto the green. Keep in mind on the tee box to grab an extra club.